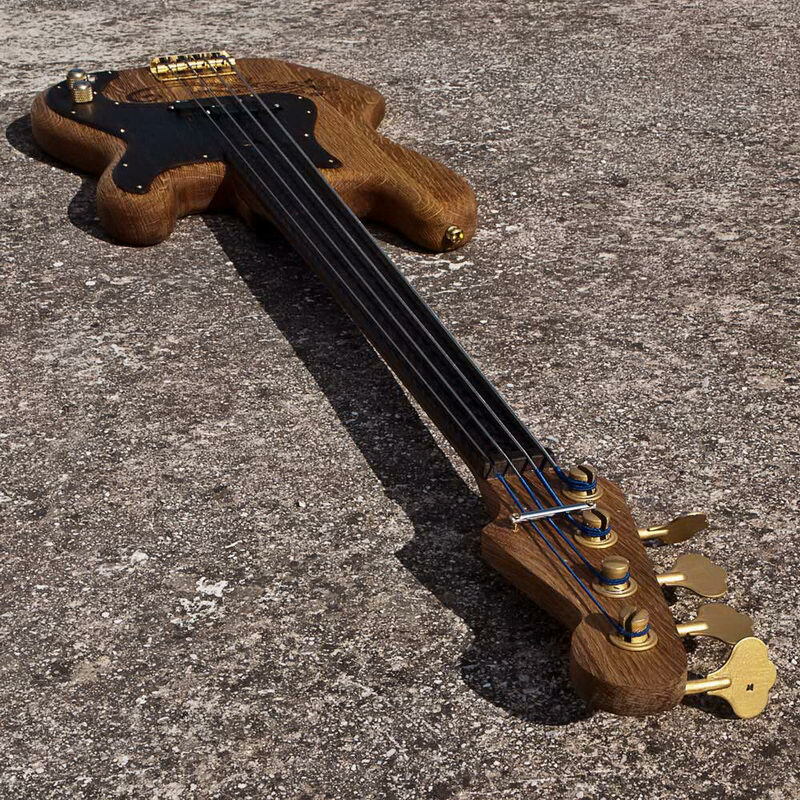 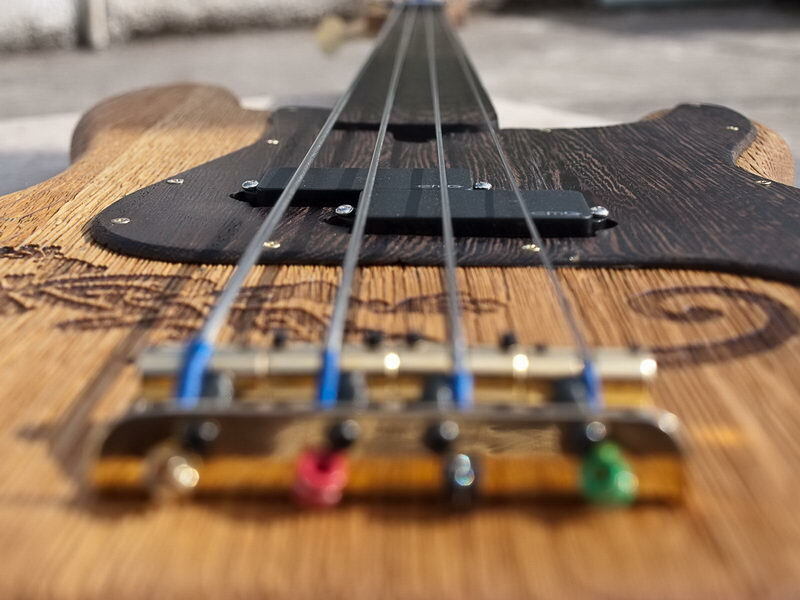 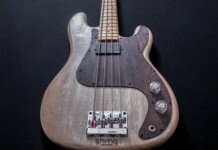 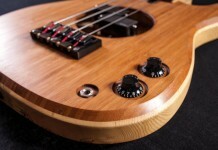 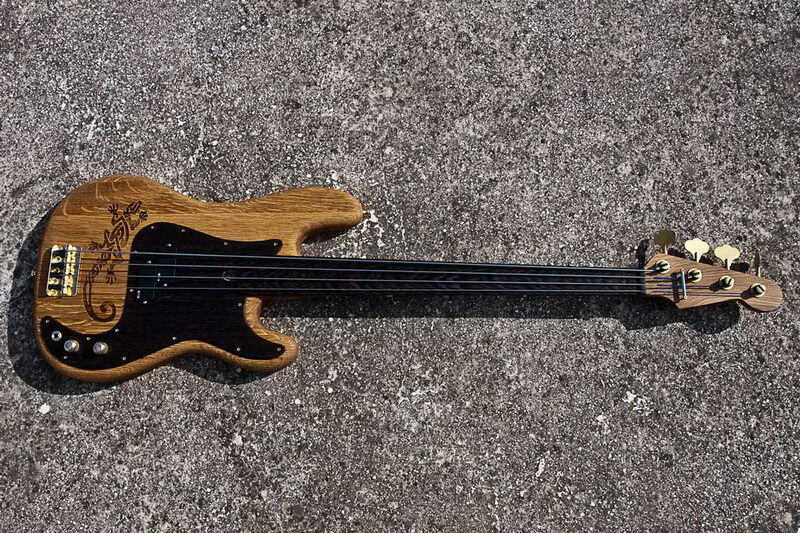 The second step in our road movie was a fretless bass with a similar body as the Lizard I – a body made from oak, with a wenge pickguard that carries a volume, a tone and the output jack. 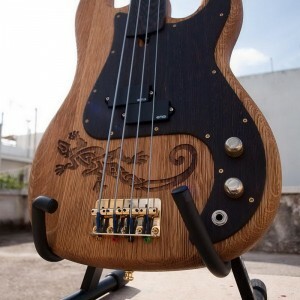 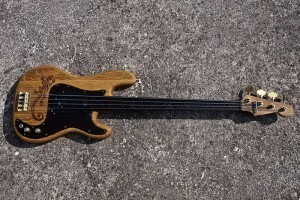 A special arm made from maple and a wenge wood for the fretboard, earned a freat tone & an amazing slide. 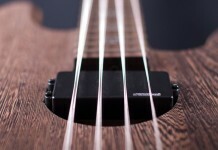 We used active pickups from EMG and Lizard II became real. 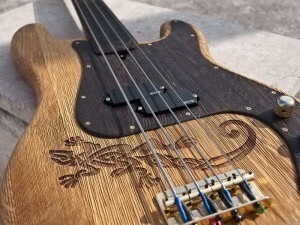 It has a full rich sound, light weight and a unique look with our laser made trademark lizard making it look simply great!